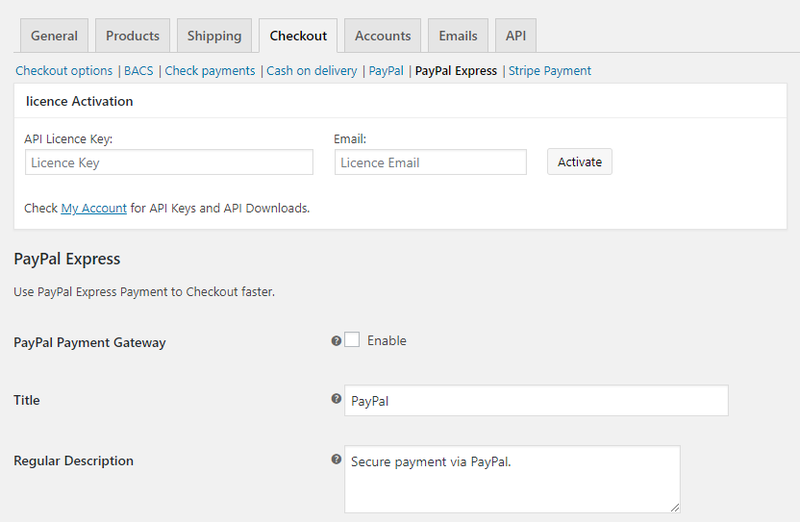 This tutorial explains how to set up PayPal Express Checkout Payment Gateway for WooCommerce. Please refer to the product page to know more about the plugin features. PayPal Express Checkout Payment Gateway plugin allows the customers to skip the WooCommerce checkout and facilitates customer to pay by PayPal account either from Product page or Cart page, securely. Hence, resulting in reduced clicks to place the order by paying through PayPal/Credit Card. It is an easy and quick solution that provides a fast, seamless checkout experience to your customers. Admin can charge orders immediately or authorize and capture from PayPal. Also, Plugin allows the customer to checkout without any PayPal account. The Customer can use a credit card instead of the PayPal account. You can add the required Logo or Banner on PayPal Checkout Page. This tutorial will give you an excellent launch pad to kick-start the usage of PayPal Express Checkout Payment Gateway for WooCommerce. It will give you all the essential knowledge and step-by-step instructions. After purchasing the PayPal Express Checkout Payment Gateway for WooCommerce, plugin Zip file is available in MY ACCOUNT. For detailed information about installing Plugins, See How to Install WordPress Plugin?. PayPal Payment Gateway: Select the checkbox to enable the PayPal Payment Gateway. Title: It is visible on the Checkout page under the payment modes. Specify Title as required(defined by you). Regular Description: Specify the required description in this text box. 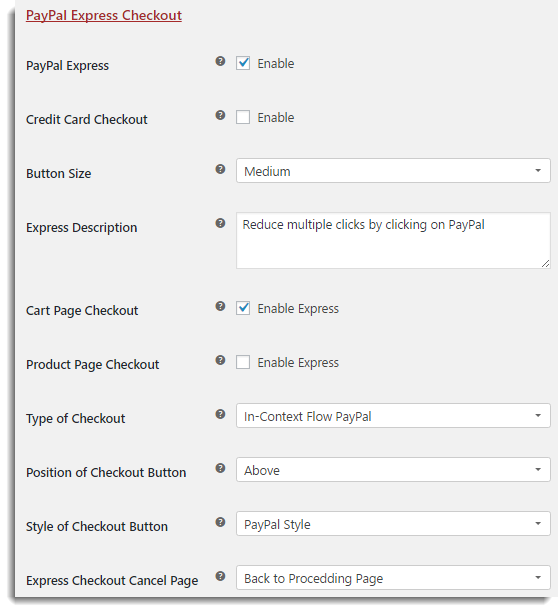 The Customer can see this description on the Checkout page under WooCommerce PayPal payment method. Sandbox Mode: It is used to do test purchasing by using PayPal API. There is no real money transaction involved in this mode. 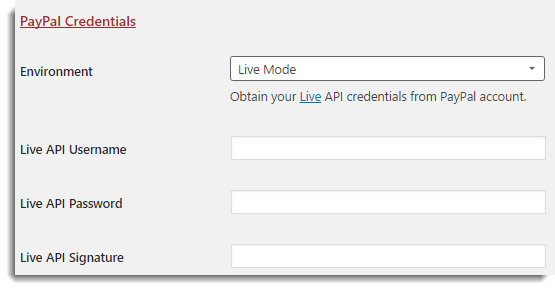 Live API Username: Enter the Username provided by PayPal. Live API Password: Enter the Password provided by PayPal. Live API Signature: Enter the Signature provided by PayPal. PayPal Express: Select the checkbox to enable PayPal Express payment gateway option for the customer. Credit Card Checkout: Select the checkbox to enable Credit Card Checkout for the customer. Express Description: Enter the text in the given text box and this text gets visible to the customer during placing the checkout. 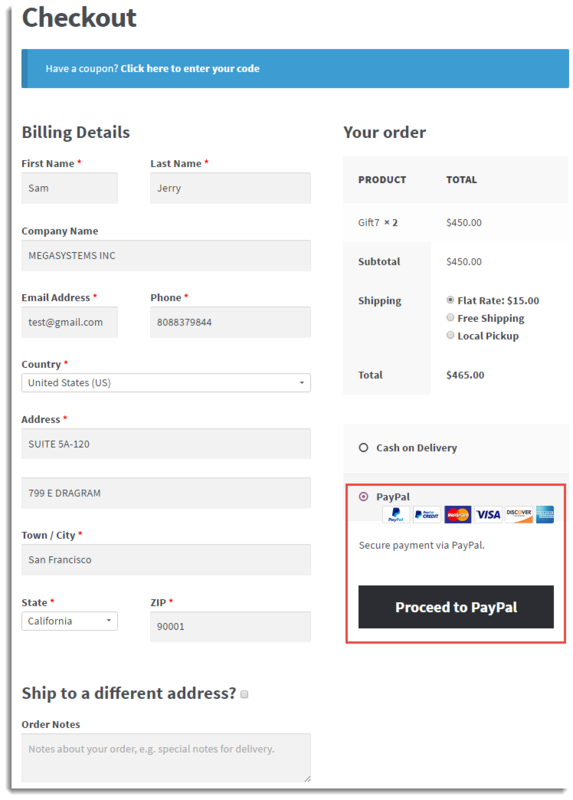 Cart Page Checkout: Select the checkbox to allow the customer to directly Checkout from the Cart page using PayPal Express/Credit Card. 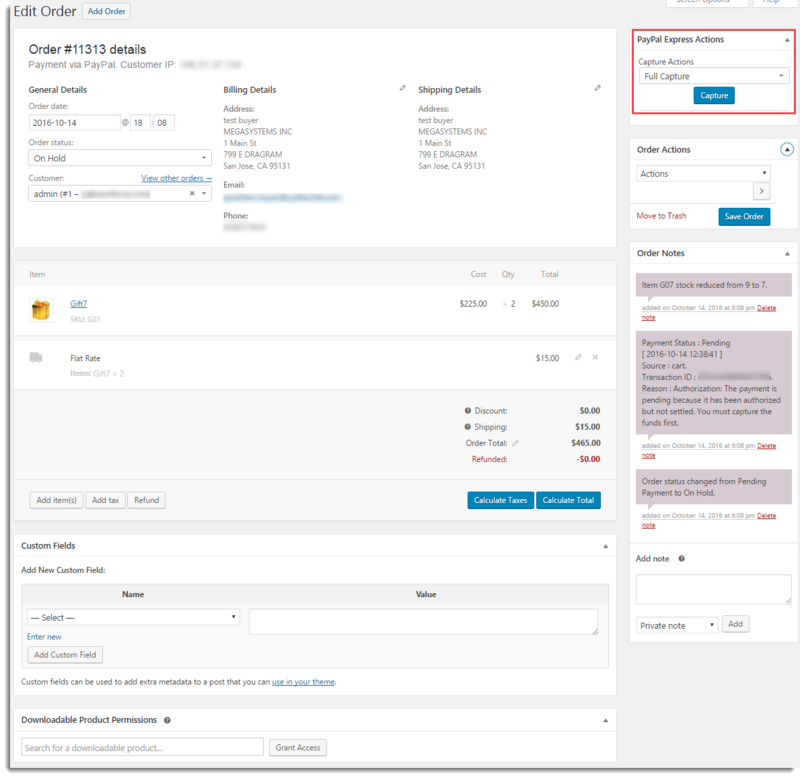 Product Page Checkout: Select the checkbox to allow the customer to directly Checkout from the individual Product page using PayPal Express/Credit Card. Redirect to PayPal: The customer is taken to the PayPal site to pay the amount. In-Context Flow PayPal: Without leaving your store site, the customer can pay the amount through PayPal. Note: This option works only on Cart page checkout. Above: Displays PayPal Express/Credit Card checkout buttons above Add to Cart (Product page checkout) or Proceed to Checkout (Cart page checkout). Below: Displays PayPal Express/Credit Card checkout buttons below Add to Cart (Product page checkout) or Proceed to Checkout (Cart page checkout). 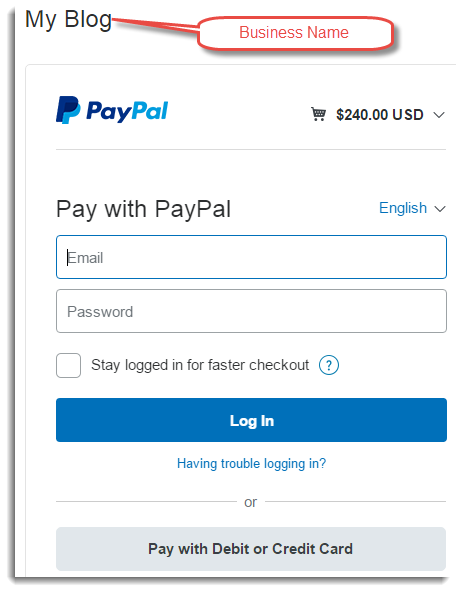 PayPal Style: Displays PayPal Express/Credit Card checkout buttons in PayPal style. 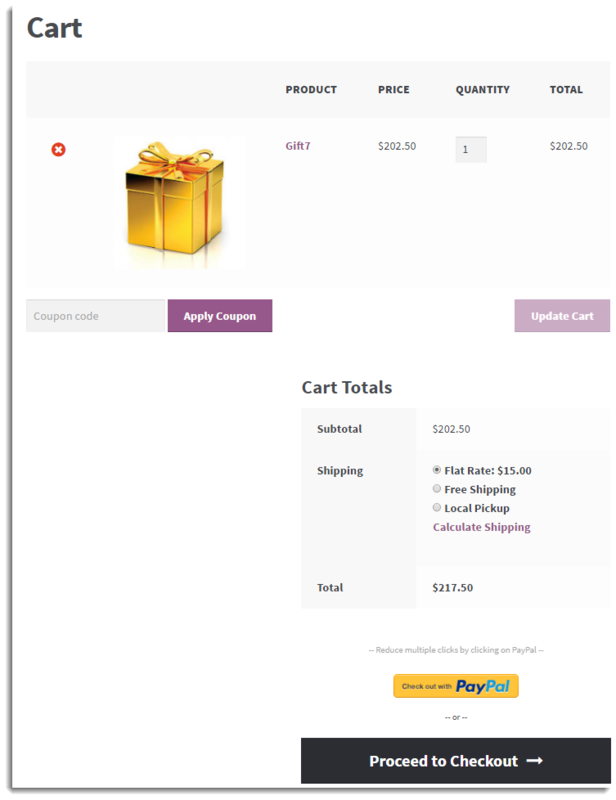 WooCommerce Style: Displays PayPal Express/Credit Card checkout buttons in WooCommerce style i.e. same style as Add to Cart / Proceed to Checkout. Back to Proceeding Page: Directs the customer to the page from where the customer navigated to PayPal. 1. Business Name: Enter the required Business Name which gets displayed on the PayPal Checkout page. Sale: This option allows the shop owner to get the payment after the sale from WooCommerce. Authorize: With this option, the shop owner needs to authorize charges and then capture the payment. To capture the payment, the shop owner needs to navigate to the individual order page. Under PayPal Express Action box, Admin can capture the payment. Please refer, How to Capture Authorized payment from Order Page? 3. Instant payment: Select the checkbox to get the payment instantly through PayPal / Credit Card / Debit Card instead of eCheck. 4. Override Addresses: Enabling this will affect express checkout and PayPal will strictly verify the address. 5. 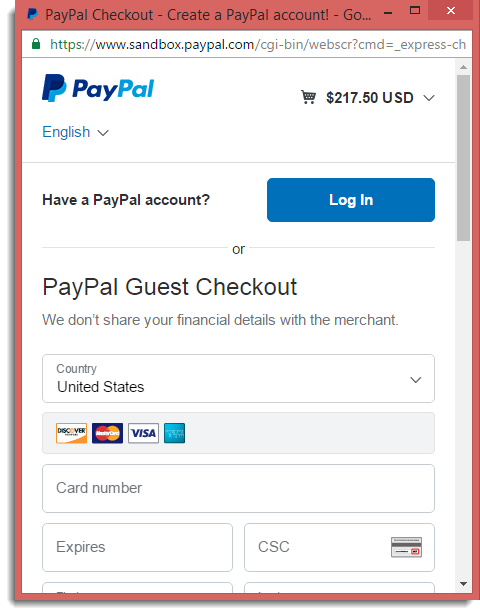 PayPal Locale: Select the checkbox so that the display language of PayPal will be the same as the default language of your store. 6. Invoice Prefix: Enter the text which gets prefixed to the Invoice number. This helps to identify the Order from the Invoice number. For Example: Suppose, you have added Extensionhawk_ in this field, then the Invoice number will be Extensionhawk_12098. Login Page: Customer always directed to the Login page of PayPal. Billing Page: If the customer is logged into PayPal Account already then the customer is directed to the Billing page, otherwise the customer is directed to Login page. 8. Customer Service Number: Enter Merchant Customer Service number which gets displayed on the PayPal Review pages. 9. PayPal Checkout Logo: Enter SSL Host URL of the image to be displayed as the logo on PayPal Page. Allowed Image size is up to 190 x 90 pixels. 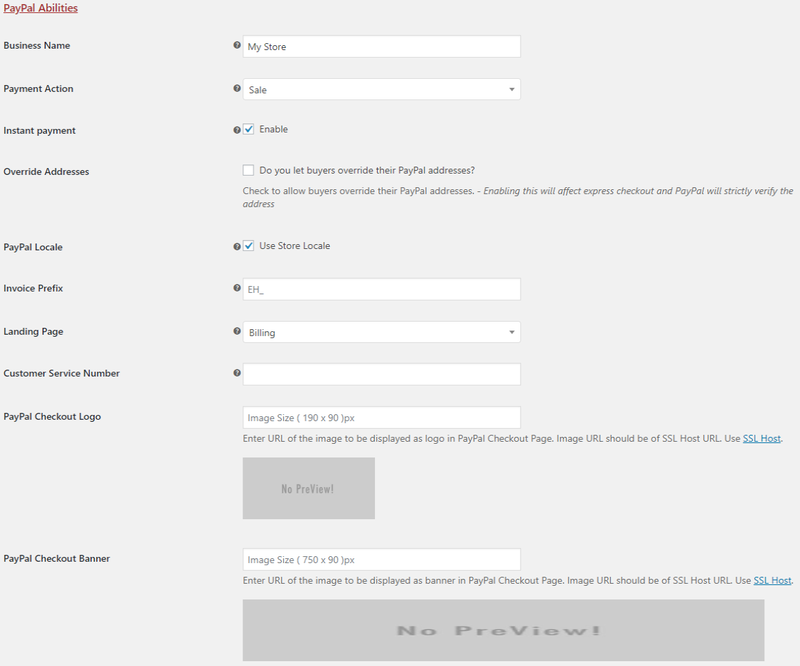 10.PayPal Checkout Banner: Enter SSL Host URL of the image to be displayed as the Banner on PayPal Page. Allowed Image size is up to 750 x 90 pixels. Note: Banner, Logo, or Business Name gets displayed on PayPal page depending on priority. Banner has the highest priority, then comes Logo and the last is Business Name. Skip Review Page: Select the checkbox to skip the Review page and directly place the order. Seller Policy: This field appears if you do not skip the Review page. 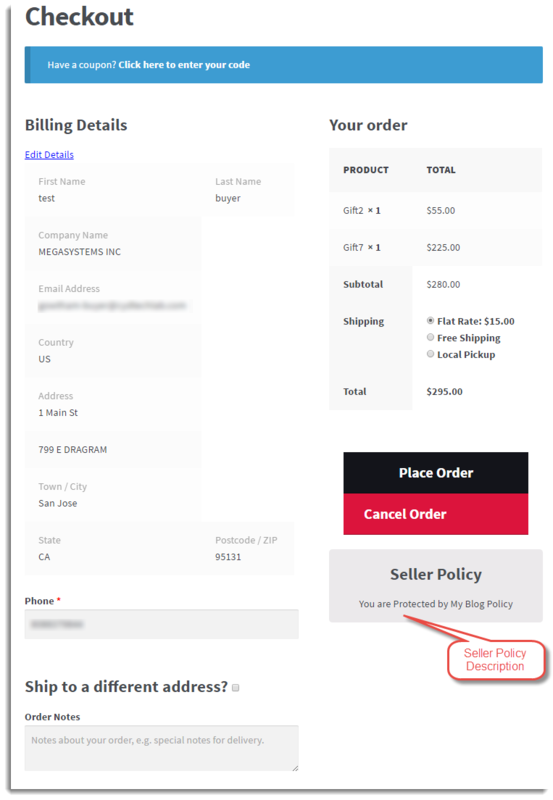 Enter Seller Policy or any customized text which you want to display on the Review page for the customer. Logging: Enable the checkbox to troubleshoot the issue with your site. Override IPN URL: Enter the IPN URL so that you get notification from PayPal. Click Check out with PayPal button. 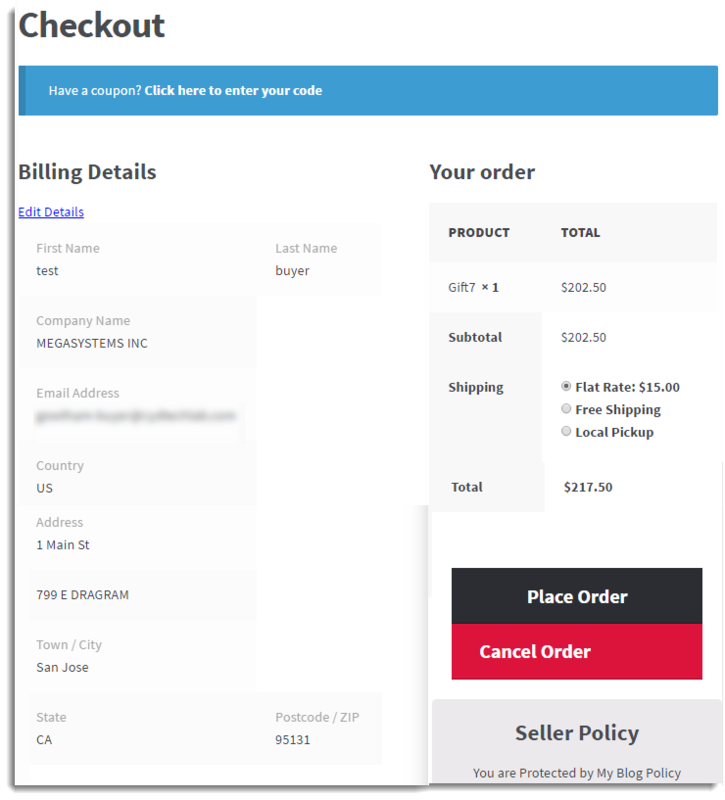 The Customer can Place / Cancel the order by clicking the respective buttons. Next checkout steps are same as cart page checkout, please follow step 2 to place the order. Click Proceed to PayPal and next steps are the same as cart page checkout, please follow step 3 to place the order. 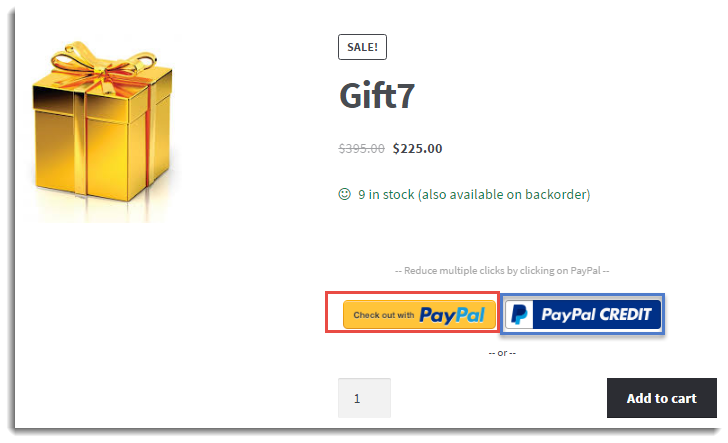 Under PayPal Express Action box, Click Capture to get the order payment. This way the customer can place the order by Paying through PayPal securely. Check out our PayPal Express Checkout Payment Gateway for WooCommerce. 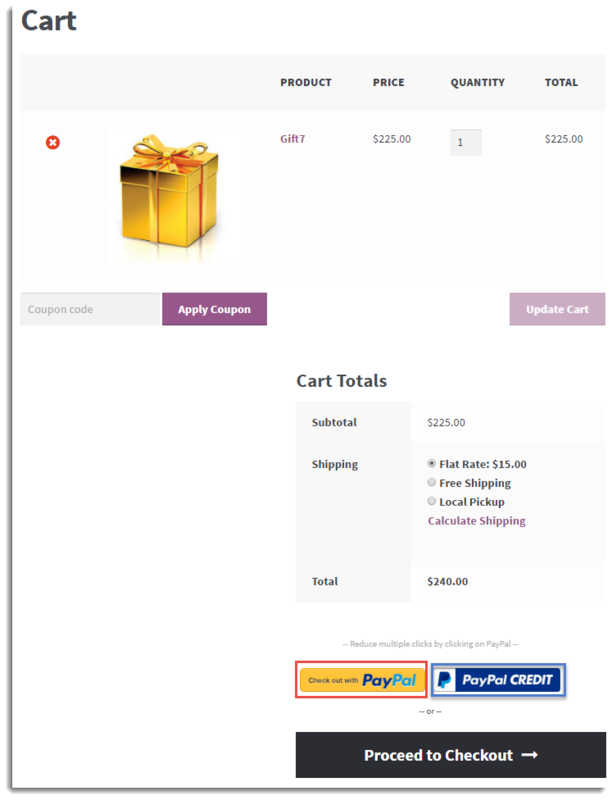 This entry was posted in Documentation, Getting Started, PayPal Express Checkout Payment Gateway for WooCommerce, WooCommerce. Bookmark the permalink.